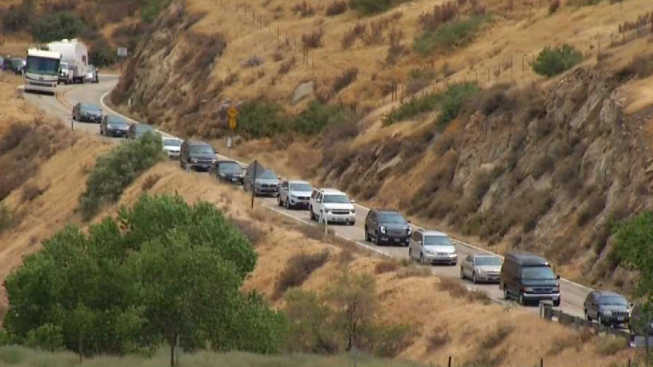 A line of vehicles can be seen during evacuations due to the Cranston fire Wednesday July 25, 2018 in Riverside County. The Cranston fire started Wednesday July 25, 2018 in the San Jacinto Mountains of Riverside County. 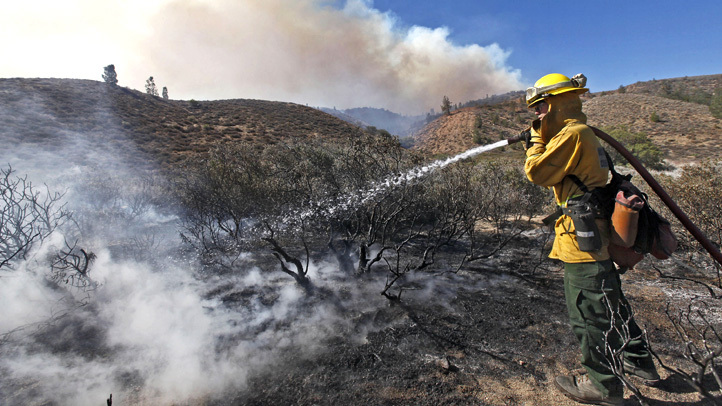 By Saturday evening, it had burned thousands of acres and several homes. Evacuation orders remained in effect for thousands of homes as thick smoke blanketed mountain communities. A evacuation center has been setup at Banning High School, 100 W. Westward Ave. and at Hamilton High School, 57430 Mitchell Rd. Residents can call 951-358-7329 for assistance. Large animals can be dropped off to Dysart Equestrian Park, 2101 W Victory Ave in Banning. Small Animals can also be dropped off at Dysart Equestrian Park in Banning. Animal Services will transfer them to the San Jacinto Valley Animal Campus. All animals accepted at San Jacinto Valley Animal Campus. The South Coast Air Quality Management District issued a smoke advisory due to thick smoke from the Cranston fire. SoCal Edison said 4,000 customers were without power, mostly in the Idyllwild area, as of 9 a.m. Thursday. Cellphone and internet connections were to be down due to lack of elecitricty in the Cranston Fire, officials said Thursday morning. They were warning residents that they may not be able to communicate with friends and family.